Since I visited New York City in September, my family has become addicted to this oniony, garlicy sesame bagel seasoning! Before I left for my trip, I checked the location of our hotel on the map and was excited to discover that there was a Trader Joe’s around the block. There isn’t one in our entire state, so when I travel, I like to check them out. Unfortunately, I usually get into the store not knowing what to look for and wind up disappointed. 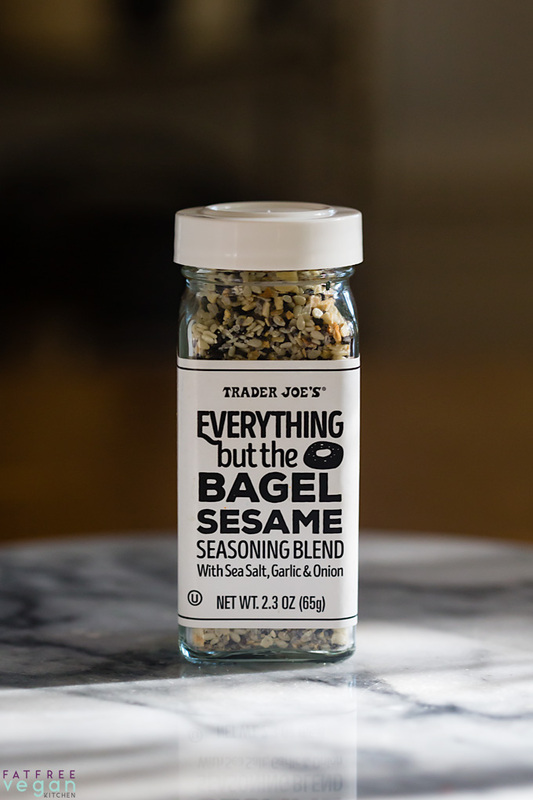 This time I did a little preliminary research in some of the Facebook groups I follow, and in all of them there was one product that was constantly mentioned: Trader Joe’s Everything but the Bagel Sesame Seasoning. So I bought a jar and brought it home. Immediately it became the most popular seasoning in my house. My husband started sprinkling it on grits, sandwiches, and toast, I started putting it on potatoes and tofu, and pretty soon that jar was almost empty. I checked into ordering it online, but the cost was ridiculous, considering the simple combination of ingredients. So while I still had a little left in the jar to compare, I started working on the perfect formula for homemade everything but the bagel seasoning. I used the order of ingredients on the jar as a guide and let my taste buds tell me when I had the right proportions. 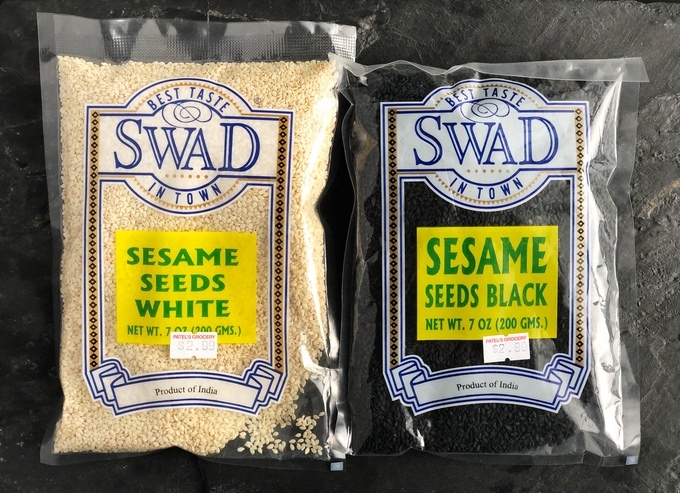 I happened to have sesame seeds, both white and black, poppy seeds, and salt, so I made a quick run to the store for dried onion flakes and garlic. I first made it using fine kosher flake salt but found that it all wound up at the bottom, so I tried again with coarse sea salt, and it was perfect. The onion flakes I bought were a little large, so I crushed them lightly in a mortar and pestle. This probably isn’t necessary with all brands of onion flakes, but I found it made the ingredients more consistent in size. The final recipe is below, but I know you’re probably wondering, “What do you use Everything Bagel Seasoning on?” Well, let me tell you! It seems kind of obvious, so let me get this one out of the way: Everything But the Bagel tastes great on bread. Sprinkle it on toast (dry or spread with mustard or your favorite bread spread), press it into the tops of bread or biscuits before you bake them, and turn regular bagels into everything bagels with just a sprinkle. Sprinkle it on sandwiches. While I was still able to get good tomatoes, I loved making a tomato sandwich sprinkled with bagel seasoning, and my husband loves Tofurky slices sprinkled with the stuff. And of course, Everything but the Bagel makes the best avocado toast. 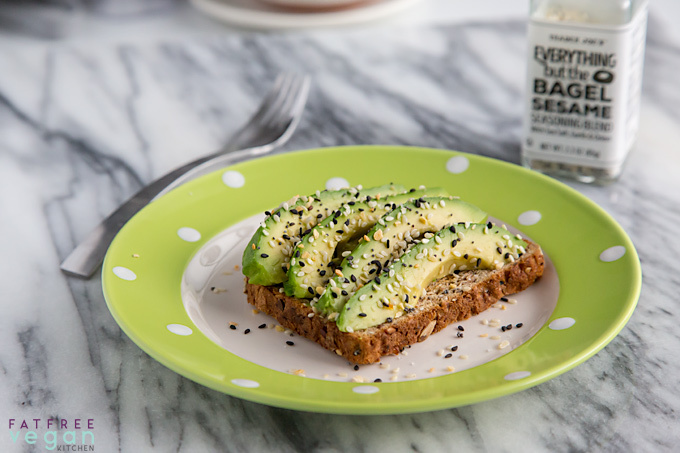 Just sprinkle it on sliced or mashed avocado for the perfect breakfast. Everything Bagel seasoning perks up any potato dish. 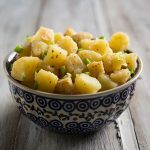 I love it sprinkled on a hot baked potato, but it also adds flavor to air fried potatoes, oven fries, mashed potatoes, hash browns, and scalloped potatoes. I sprinkle it on oven fries and air fries after they are cooked, tossing them in a teaspoon or so of aquafaba or vegetable broth to help the seasoning stick. As Southerners, we love sprinkling this seasoning on grits. It’ll also perk up a simple serving of rice or other grains. 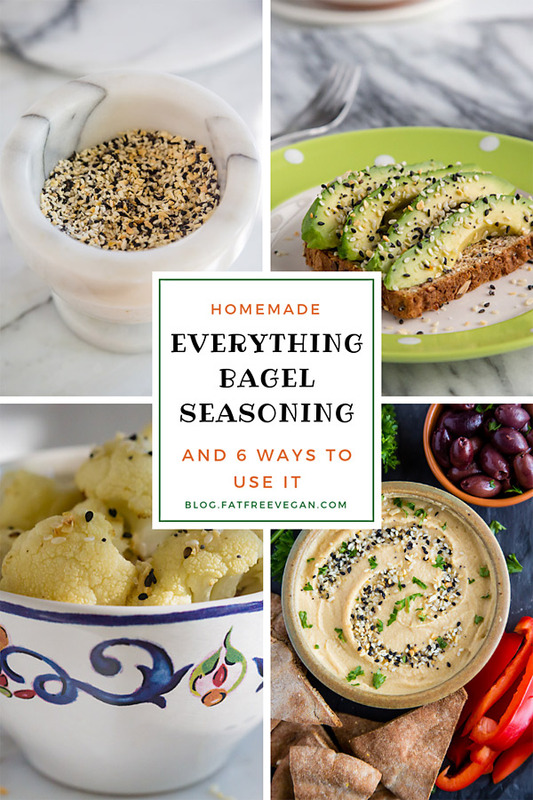 I can’t think of one vegetable I wouldn’t sprinkle with my homemade Everything Bagel seasoning! 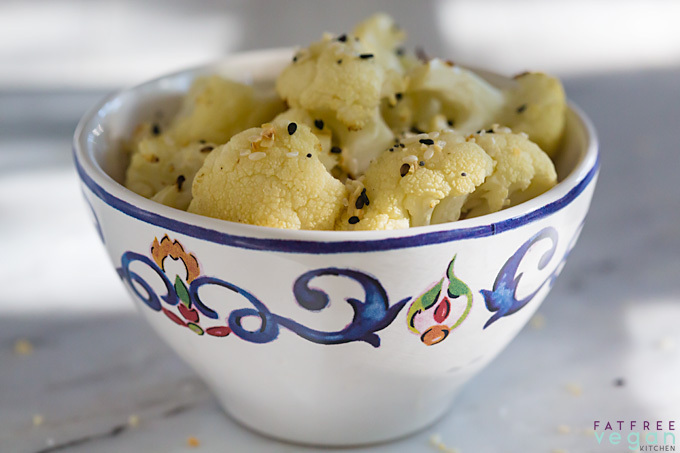 It goes particularly well with the mild flavor of roasted cauliflower and asparagus, but I can imagine it on broccoli and even salads. 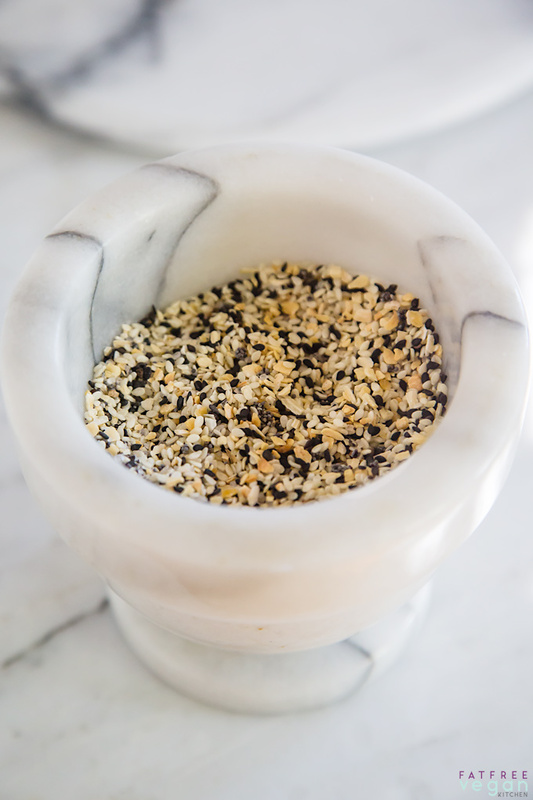 Homemade Everything Bagel Seasoning lends a great onion and garlic flavor to tofu prepared any way. Marinate tofu in soy sauce and your choice of seasonings; then air-fry it, waffle it, or bake it. Once it’s cooked, sprinkle it liberally with Everything seasoning. I like how it adds a little crunch as well as flavor! I’ve also sprinkled Everything on scrambled tofu for an added dash of flavor. 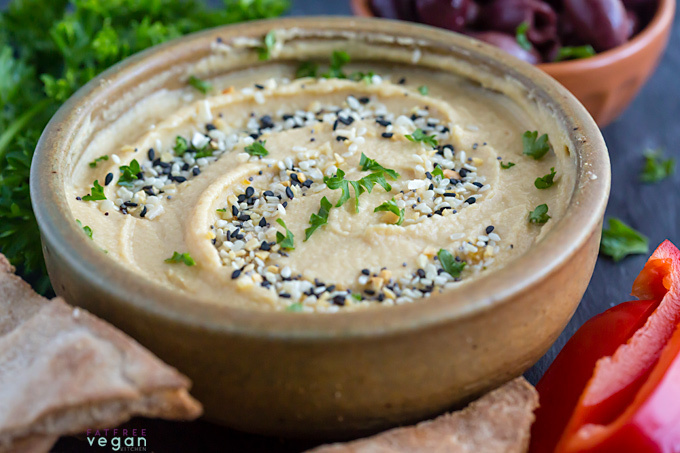 We love adding bagel seasoning to hummus! I simply make a batch of my Hummus in the Blender and sprinkle it with homemade Everything Bagel seasoning. If you really want to add a lot of flavor, you can also blend a couple of teaspoons of the seasoning into the hummus. Everything but the Bagel adds a bit of crunch and flavor to casserole toppings. 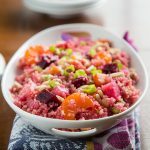 Simply mix it with Panko or bread crumbs to make a lightened up topping for any casserole you like. My bright idea for Thanksgiving this year is to make my Green Bean Casserole and instead of the decadent fried-onion topping to combine panko, Everything Bagel, and a little extra of the dried minced onions. It will be so much lighter than the original, and I think the sesame seeds will give it a rich, nutty taste. When I created my Cauliflower Mac and Cheese recipe, my first instinct was to add Everything Bagel to the topping, but I was afraid it was a seasoning most people don’t have. Well, that problem is solved with the following recipe! 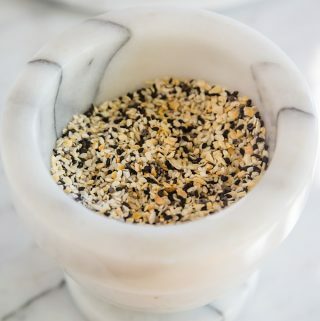 If you have a Trader Joe’s in your area, buying Everything but the Bagel Sesame Seasoning there is probably the least expensive option if you plan to use it sparingly. It’s normally $1.99 for 2.3 ounces. If you have to buy it online, such as on Amazon, the price leaps to around $6.70, with Prime free shipping. If you don’t have all the ingredients on hand, you’ll definitely have to pay out more money if you decide to make it yourself than if you buy it from TJ’s, but if you become addicted to it like my family has, it’ll be cheaper in the end to make your own bagel seasoning. Mix all ingredients together and store in an air-tight container. 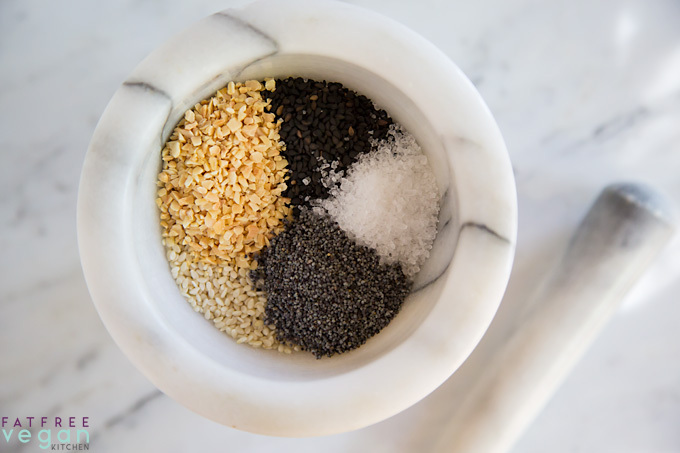 Note: if you use onion flakes that are larger than the other ingredients, you may crush them lightly in a mortar and pestle before mixing them in. Somehow my version came out lighter than Trader Joe's original, which lists 5 calories per 1/4 teaspoon. I deliberately used less salt, so mine contains less sodium than the 80mg in the original. I’m not affiliated with Trader Joe’s in any way, but if you buy something through one of my Amazon links, I do get a small commission. But I recommend shopping local for this recipe! Sounds like a Wonderful Recipe! I will add it to my Seasoning Recipes !! Love to try different things!! Thank You!! Yes this seasoning is really really good. I also put it on everything and take a small container of it with me when I travel. After I first bought it, I immediately went online to Pinterest and found a recipe and have been making it every since. I always triple the recipe so I always have a large container on hand. I NEVER add salt though, And I do toast my white sesame seeds and everything is 1 tablespoon of every ingredient. I leave salt out as that is a personal choice for most who use it. When I first made it, I left the ‘salt in but it seemed like it was too salty no matter how little I put in. Anyway, I hope your readers will all make their own too. Thank you for this recipe. We don’t have a trader Joe’s in my area either! Can you do Trader Joe’s 21 Seasoning Salute next??? Ooooh, that sounds interesting! I’ll have to research it. I agree Valerie! I have so much about that one, but we don’t have a TJ’s close. I have bought several of the Everything But the Bagel Seasonings. Now I can make my own. So excited! Thank you, Susan! Thank you so much for posting this! I recently picked up the seasoning, but found it to be too salty for my tastes. Now I can make it at home, minus the salt. Love EB topping! Never had TJ’s brand, been making my own blend from recipes off internet since stumbling onto the uber savory taste at my local bagel shop – and I’m not even a bagel fan lol. My fav is on green beans, will have to try it on your world’s best green bean casserole this year. And, yes, killer on avo toast! 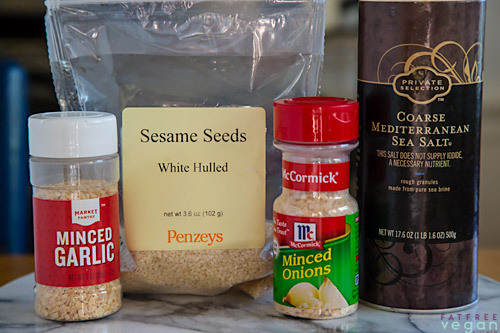 Tips from personal experience: must toast the sesame seeds (as you mentioned), I like Maldon flaked salt best, and McCormick brand onions and garlic taste over-toasted IMO – source those carefully since they hold the “power”. P.S. I, too, love TJ’s 21 Seasoning Salute. Our Costco is carrying an everything bagel seasoning now. I think it was between $3-$5 for 11.5 ounces. I’ve been doing this for years. 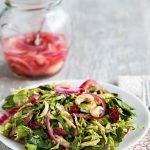 I have also added caraway seeds sometimes fennel seeds You have the opportunity to add more or less of whatever you love. Glad you did it yourself. So easy!! I’m super excited for this recipe! I love this stuff so much, and I do have a TJs near by, but I always wish it had a little less salt. So I want to make it for myself! And even make a salt-free batch for my aunt who doesn’t eat salt. Thank you! so excited to use this on toast! Thank you for your generous and creative heart! You and your recipes make the world a better place. Have a love-filled holiday! Thank you for this great idea, Susan! I made bagel seasoning a few days and it turned out perfect! Merry Christmas, Susan! I wish you and your family all the best, best wishes! I am SO obsessed with that everything but the bagel spice!! I actually live in nyc but making this myself will save me a lot of money cuz i love the stuff…! And i can get sesame seeds in chinatown for like $2 for a big bag. I love salt and will certainly keep it in the blend, that’s part of why it tastes like an everything bagel! I’ve found that the salt flakes (Maldon sea salt flakes) work a bit better than the coarse salt. Have you tried them? Also, I LOVE your recipes!! How do you not have a cookbook?! 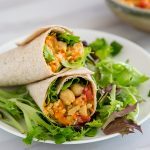 Bloggers who started years after you did have cookbooks! Aw, thanks! I’ve had offers to write cookbooks, but haven’t really wanted to. I’m commitment-phobic when it comes to writing. I know one of the suggested uses was avocado toast. A slight twist on that that I love is mashed avocado on Danish rugbrød (whole-grained rye/pumpernickel). I like using avocado or hummus instead of the traditional butter/(cream) cheese on smørrebrød sandwiches. Putting the bread in the microwave for 30 seconds or so is a nice touch and the Everything Bagel seasoning is a *great* addition. It’s addictive! Thanks for a great garnish! That sounds so good! I’m sorry you couldn’t leave a rating. I’ve heard that from several people lately. Would you mind telling me what browser or device you’re using so that I can try to track down the problem?